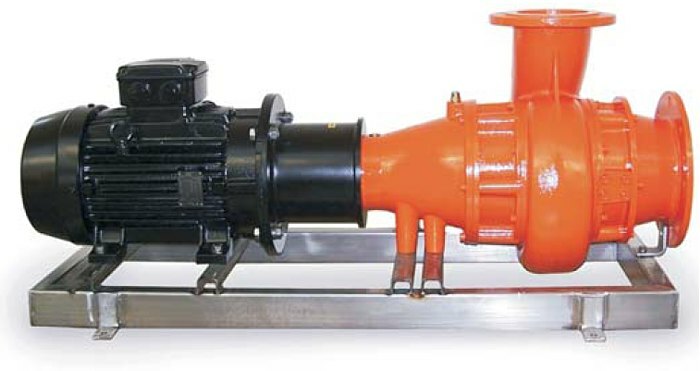 The comminuting pumps for horizontal installation (type ETO) and for vertical installation (type ETV) are intended to chop up solid material sufficiently so that blocking can be prevented for the following operation sequences. The comminuting pumps ETO and ETV are equipped with a cutting device. They are also going under the name ‘chopper pump’. Both types are rotary pumps, featuring a multi-channel impeller which allows to achieve pressures of up to 5 bar. The pumps are set up outside the tank or container and are connected with an inlet pipe. The external installation allows easy access for maintenance. 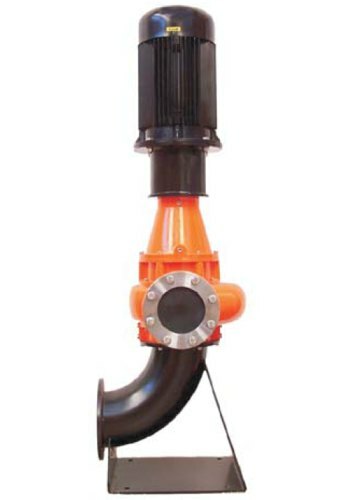 By means of a flexible coupling, the pump can be connected to an electric motor.